What’s not to like about a road trip? After all you get to set your own pace, explore a few off-the-beaten-track sights, and take in some gorgeous scenery. And although the highways and byways across the US offer a plethora of gorgeous windshield views, these seven western drives top my must-do list. Not only are they all easily doable in one day, but each route also features one don’t-miss wheelchair-accessible scenic highlight, where you can get out of the car and get up-close-and-personal with Mother Nature. A classic drive across the high country of Yosemite National Park (www.nps.gov/yose), Tioga Road connects Crane Flat near Yosemite Valley with Highway 395 in Lee Vining. Along the way you’ll be treated to some great views of Tenaya Lake and Tuolumne Meadows, as you pass by isolated snowfields and travel over the 9943-foot high mountain pass. Take some time to get out of your car at the east end of Tenaya Lake. Located at 8,150 feet, this alpine lake offers a short wheelchair-accessible path down to the lakeshore, where you’ll find an accessible picnic table on an asphalt pad. It’s the perfect spot for a secluded picnic lunch. Keep in mind that timing is extremely important along this route though, as heavy snow makes the road impassable during the winter months. Fall is a lovely time on Tioga Road, but try and hit it before the end of October. Mountain weather is unpredictable and this road has closed as early as mid-October. Located in the National Forest just outside of Kings Canyon National Park (www.fs.usda.gov/recarea/sequoia/recarea/?recid=79915), The Kings Canyon Scenic Byway begins just north of Grant Grove on Highway 180. This scenic route travels through a pine forest before it descends alongside granite walls deep into magnificent Kings Canyon. After the road reaches the canyon floor, it follows the roaring Kings River and then it re-enters the park just past Grizzly Falls Picnic Area. There are several viewpoints with interpretive plaques along the way, and although none of them have striped parking, all of them are paved and level, with plenty of room to deploy a ramp when parked parallel. McGee View offers a look at the destruction and rebirth of the forest since the 2015 Round Fire, while Yucca Point and Junction View give visitors a close look at the massive canyon walls. The Boyden Cave site is worth a stop too, as even though the cave tours haven’t operated for many years (and they are not accessible), you’ll still get a good view of the mighty Kings River from either side of the road. And don’t miss the Grizzly Falls Picnic Area . A short paved loop leads from the parking area, up around several accessible picnic tables on cement pads. It’s about 100 feet up to the interpretive plaque near the base of the falls, but after that you’ll have to scramble over the rocks to get any closer. Still, there’s a great view of the falls from the plaque, the picnic tables and even the parking area. Even if you don’t stop for lunch, be sure and pop in for the view. Timing is everything though, as this route is also closed during the winter. Located in Northern California, near Orick, the Newton B. Drury Parkway bisects Prairie Creek Redwoods State Park (www.parks.ca.gov/?page_id=415) and offers a scenic drive through a stand of old growth coastal redwoods. Although there are some nice windshield views along the 10-mile route, you’ll definitely want to stop for a close look at the Big Tree, near the visitor center. There’s accessible parking and restrooms near this wayside exhibit, and a 100-yard paved path to the tree. There’s also ramp access up to this 304-foot giant, which towers over the surrounding forest. 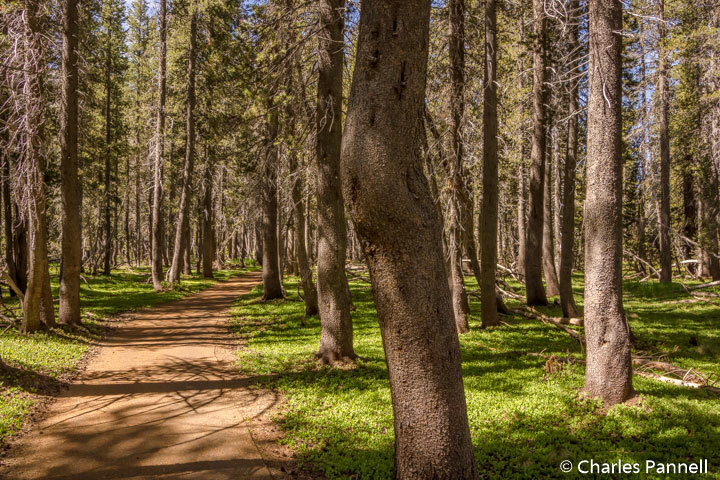 If you’d like to take a hike through the grove, the accessible Prairie Creek Foothill Trail is the perfect choice. This 2.3-mile loop trail starts just to the right of the visitor center and follows fern-lined Prairie Creek for 1.2 miles. The trail is hard-packed dirt, and although it’s not totally level, the grade is up to code and there are level spots every 50 feet, with benches to rest along the way. Bear right at the fork in the trail, and follow the signs to the parkway. After you cross the parkway, continue along to the Big Tree. From there it’s another .9 miles back to the visitor center. 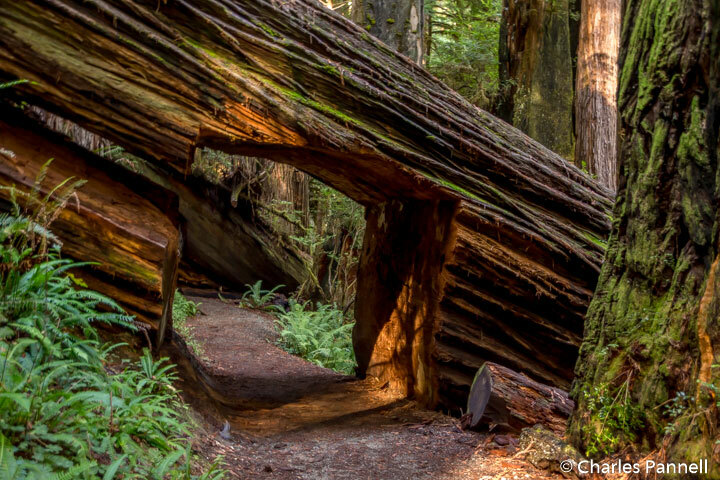 It’s a beautiful hike that meanders through the old growth forest and even includes a tunnel through a downed redwood. Although there are no picnic areas along the way, there are benches and logs where you can enjoy your repast. Best of all, it’s not a heavily trafficked route, so you’ll probably have the forest to yourself. 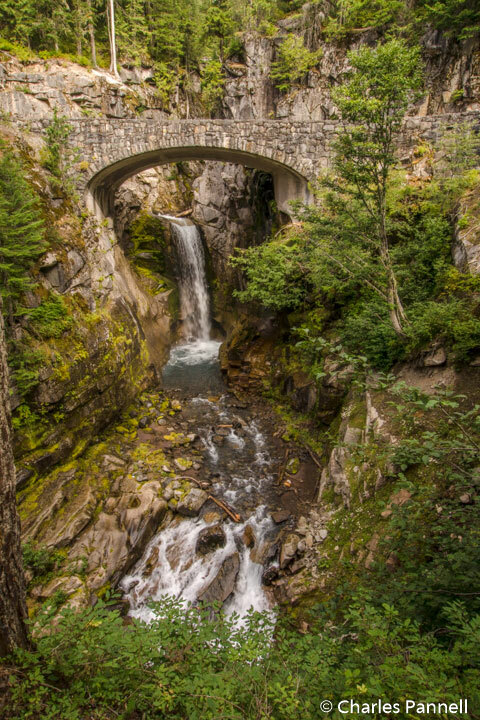 One of the most accessible things to do in Mount Rainier National Park (www.nps.gov/mora) is to take the 56-mile scenic drive from Longmire to Sunrise. Although the drive takes about two-and-a-half hours straight through, it’s best to allow a whole day for it, as you’ll want to stop and enjoy the views along the way, as well as spend some time on top. And although the windshield views are breathtaking on the drive up, they are even more spectacular on the trip back down the hill. 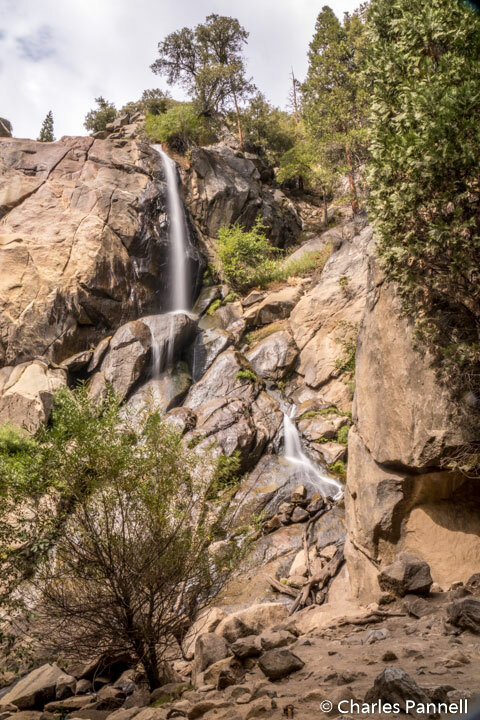 Highlights along the way include Ricksecker Point Loop Drive, Narada Falls and Reflection Lakes; however, the pièce de résistance is Christine Falls. It’s located on the left side of the road, just past Longmire; but if you take time to admire it from your car, you’ll completely miss the parking area on the right side. The best view of the falls is from the first pullout, which is located directly across the street from the waterfall, just shy of the main parking area. Unfortunately there are only stairs down to the lower viewing area, but you can still get a nice view of the top part of the 40-foot high waterfall from the 1928 masonry bridge near the pullout. Up at the top, be sure and stop in at the Sunrise Visitor Center. The front entrance has steps, and the ramp from the parking lot is narrow and steep, but the most accessible spot to park is located across from the picnic area. From there you’ll find level access to the side entrance and plenty of room to navigate a wheelchair around the interpretive exhibits inside. Best of all, you can get an absolutely amazing view of Mt. Rainier from the scope that’s trained on the mountain inside the visitor center. This is also a seasonal route, as portions of this road are closed during the winter. 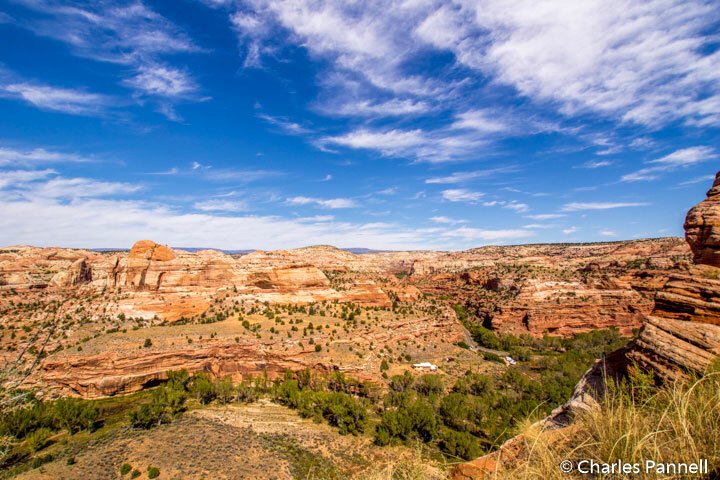 Located in Southern Utah, Scenic Byway 12 (www.scenicbyway12.com) travels west from Torrey to Highway 89, and offers views of Kodachrome Basin, Grand Staircase-Escalante National Monument, Glen Canyon National Recreation Area and the Dixie National Forest. And although this byway was a dirt road until 1985, the 124-mile route has been repeatedly described as one of the most diverse, remote and ruggedly beautiful landscapes in the country. From Torrey to Boulder the road winds through a Ponderosa Pine and Aspen forest, where the fall foliage show is second-to-none. And from Boulder west, the route passes through Grand Staircase-Escalante National Monument and offers a breathtaking canyon view. At one point the road travels along a narrow isthmus-like bridge, with sheer drop-offs on both sides of the road, and features stunning views of rock formations in a rainbow of earth tones. 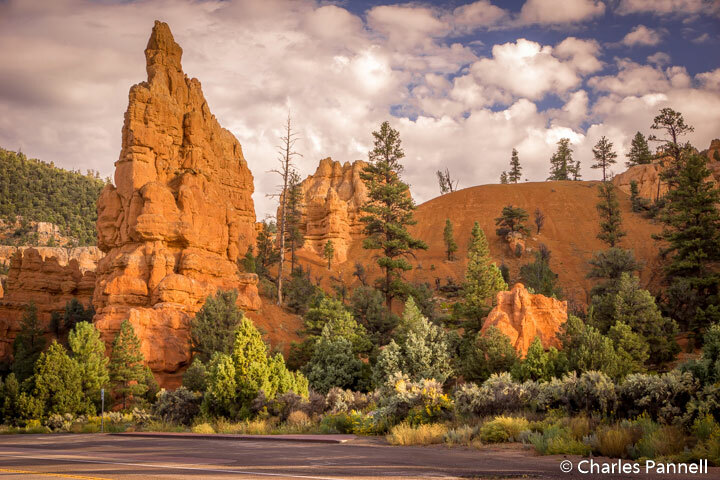 One of the most striking sights along the route is Red Canyon, which is located near Highway 89. Often called “Little Bryce”, Red Canyon is filled with pullouts, and there’s even a nice paved bicycle trail on the south side of the highway. The best place to access the bicycle trail is from the parking area at the west entrance to the canyon. Even if you don’t want to try the trail, this spot is worth a stop for the photo op, as it offers a great shot of the canyon entrance. The eight-mile bicycle trail is paved and fairly level for most of the way, but there are also a few undulating and steeper sections. It’s not technically wheelchair-accessible because of the grade, but some handcyclists and manual wheelchair-users with good upper body strength may be able to manage it. That said, since a good chunk of the trail is level, it’s worth a try, and you can always turn back if it becomes too steep. Located off Scenic Byway 12 in Boulder, Utah, the Burr Trail (www.nps.gov/glca/planyourvisit/driving-the-burr-trail.htm) offers a lovely drive through Grand Staircase-Escalante National Monument. Situated midway between Bryce Canyon National Park and Capitol Reef National Park, this former cattle trail was originally blazed by John Atlantic Burr. Today the first portion is paved and passable in dry weather, as it winds through Long Canyon, and offers spectacular views of the Circle Cliffs. The road travels through Grand Staircase-Escalante National Monument, before it turns into a dirt four-wheel-drive road that connects to Capitol Gorge in Capitol Reef National Park. Pack along a picnic lunch to enjoy at the end of the paved road, where there’s a wheelchair-accessible picnic shelter and a scenic overlook. You’ll probably have it all to yourself; and as you gaze over at Capitol Reef’s Waterpocket Fold, you’ll begin to understand why that formation presented such a formidable barrier to early explorers. And as with most scenic drives, the view is entirely different on the return trip. Fondly known as the Mother Road, Route 66 (www.historic66.com) began as a series of dirt trails and unnamed roads cobbled together to create America’s first interstate highway. Today, the road has been replaced by Interstate 40; however you can still jump off the interstate and explore sections of the old road. And one of the best places to begin this drive is in Kingman, Arizona. Take the West Beale Street exit from Interstate 40 , bear right at the Y, and follow the signs through Kingman to Oatman on Historic Route 66. Once outside of town, you’ll notice a pleasant lack of traffic as you make your way across the Sacramento Wash to Cool Springs, which is scantily more than a wide spot in the road. You cant miss it, as there’s a 1935 rusted out Nash Sedan parked next to the store. From Cool Springs the Mother Road climbs up Gold Hill to Sitegreaves Pass. Hairpin turns and sheer drop-offs are commonplace on this stretch of the road, and there’s a noticeable lack of guard rails along the way. On the plus side, there’s no shortage of awesome views, including a great one near the 30-mile marker. After you reach the summit, the downhill drive is just as exhilarating, with plenty of twists and turns along the way. As you breathe that final sigh of relief, you’ll roll into Oatman. Founded in 1906 to support the nearby gold mining camps, today Oatman retains a distinctive wild west flavor. Although access could be better, it’s definitely worth a stop. Some of the sidewalks are doable for wheelers and slow walkers, and many of the stores feature level access. Parking is extremely limited, so best bet is to snag a spot in the lot on the right, as you first enter town. There’s also some street parking, but to be honest you have to fight the burros for it. Yes, I said burros. Years ago, the miners used burros to work the gold mines, and today their descendants roam the streets. Take an apple or two to feed them and you’ll be the center of attention. That said, there are a lot of them, so be careful where you roll. Oh, and don’t miss the daily gunfight, which is held promptly at noon in front of the Oatman Hotel. From Oatman it’s another 26 miles to Topock, where you can rejoin Interstate 40. 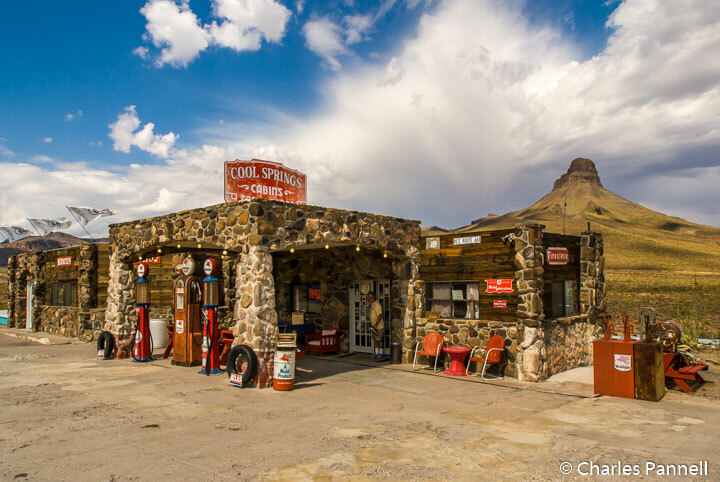 Although this little Route 66 detour is just 140 miles long, it’s a wonderful opportunity to turn back the clock and step into the past.